Insufficient warnings can hurt or kill a farmer or farm worker. 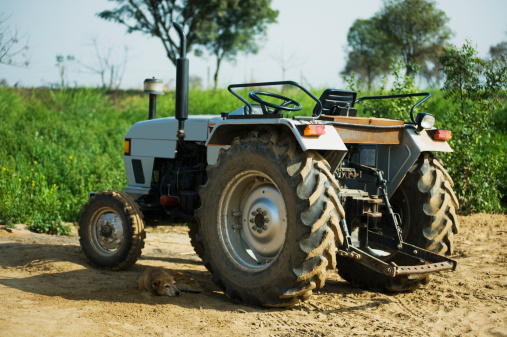 When manufacturers fail to warn consumers about the dangers of operating the farm machinery that they design, they may be held responsible for worker injury and/or death. For example, some machinery requires entering by climbing over operating gears that are likely to be activated by mistake. Other equipment might be relatively safe to operate in an open field but become dangerous when moved near overhead power lines. And some machines have components that continue to move for a period after being shut off. Manufacturers who sell farm equipment are responsible for producing safe products. Warnings or instructions for safe use are necessary for these products to be operated without unreasonable risks. If foreseeable risks of harm posed by the product could have been reduced or avoided by posting a warning and the manufacturer does not post a warning, any resulting injuries may be the manufacturer’s responsibility. All farm equipment is required to include visible warnings, such as decals and/or color-coded parts. use signs and symbols that enable to see the warning at a glance, rather than read it. Manufacturers must warn of any safety risks with regard to the equipment they produce, and if you have been injured or if a loved one has died as a result of an insufficient warning, you deserve compensation. If you are an injured farm worker, if one of your family members has been injured or died working on a farm, or if you have lost wages due to injury and you have questions about what to do next, contact us for a free and totally confidential consultation.